Big Ideas: http://www.authenticeducation.org/bigideas/ is an e-journal launched in 2005 from Authentic Education, an educational consulting organization headed by Grant Wiggins. Convergence: https://www.maa.org/press/periodicals/convergence is an online magazine from the Mathematics Association of America, which provides resources to help teach mathematics using its history. International Journal for Mathematics Teaching and Learning: http://www.cimt.org.uk/journal/ The aim of this electronic journal is to enhance mathematics teaching for students through the secondary level. It provides a medium for ideas, innovation and practice in all aspects of mathematics teaching and learning. Educators might be interested in The Impact of California's Back to Basics Policies by Bill Jacobs (2001, May 25), who examined California's mathematics policies [changes in 1999] in relation to standards, instructional matters (teaching for understanding vs. teaching rules and procedures) and professional development. In Knowledge Maps: Tools for Building Structure in Mathematics, Astrid Brinkmann (2005, October 25) discussed how mind maps and concept maps can be developed and used to graphically show how ideas and concepts can be linked in a well-structured form. Journal of Computers in Mathematics and Science Teaching: http://aace.org/pubs/jcmst/default.htm is a publication of the Association for the Advancement of Computing in Education, which is "devoted specifically to using information technology in the teaching of mathematics and science." Journal of Urban Mathematics Education: http://ed-osprey.gsu.edu/ojs/index.php/JUME is a "peer-reviewed, open-access, academic journal published twice a year. The mission of the journal is to foster a transformative global academic space in mathematics that embraces critical research, emancipatory pedagogy, and scholarship of engagement in urban communities" (About section). Math in the Media: http://www.ams.org/mathmedia/ is an online monthly magazine from the American Mathematical Society containing math in the news. Math Projects Journal: http://www.mathprojects.com/ is an international publication offering tips and lesson plans for interactive math projects, discussions of relevant topics, and contributions from teachers from around the world. Mathematics Teacher Educator is devoted to issues of mathematics teacher education. It is a joint publication of the National Council of Teachers of Mathematics and the Association of Mathematics Teacher Educators. Math Ed Podcasts offer additional insights into published research. Samuel Otten, math education professor at the University of Missouri, has a series of math education podcasts dating back to 2012 in which he interviews math education researchers about the research studies behind their published journal articles. Each episode is free and lasts about 30 minutes. The list of episodes includes published research topics such as: probability and social media, rate of change, negative integers, virtual manipulatives, trigonometry reasoning, homework, new math teachers, teaching math and life, understanding angle measure, assessment research, data literacy, student collaboration, history of fractions, and more. NOTE: Beyond the journals and magazines listed below, see the directory of open access journals, also searchable by subjects. American School Board Journal: http://www.asbj.com Get the latest on education statistics, finance, technology, school law, security, student achievement, and special reports. Canadian Journal of Learning and Technology: https://www.cjlt.ca/index.php/cjlt is a peer-reviewed journal covering "all aspects of educational technology and learning. Topics may include, but are not limited to: learning theory and technology, cognition and technology, instructional design theory and application, online learning, computer applications in education, simulations and gaming, and other aspects of the use of technology in the learning process." Campus Technology: https://campustechnology.com/Home.aspx for higher education includes feature articles, case studies, product reviews, and profiles of technology use at the instructor, departmental, and institutional levels. Children's Technology and Engineering (formerly Technology and Children): https://www.iteea.org/39195.aspx is an award-winning journal "for anyone interested in technological literacy in Grades K-6." It is published four times a year by the International Technology and Engineering Educators Association. EdTech Magazine: http://www.edtechmagazine.com/ focus on K-12 or higher education. Education Statistics Quarterly: http://nces.ed.gov/programs/quarterly/ offers a comprehensive overview of work done across all of the National Center for Education Statistics. "Each issue includes short publications and summaries covering all NCES publications and data products released in a given time period as well as notices about training and funding opportunities. In addition, each issue includes a featured topic with invited commentary, and a note on the topic from NCES" (NCES description). Educational Leadership, a magazine for educators by educators from ASCD: http://www.ascd.org/publications/educational-leadership.aspx Educators might be particularly interested in February 2003's edition on using data to improve student achievement and data-driven decision making. Note: EL issues from October 1943 to January 1998 are open for the public. Educational Technology Research and Development: https://aect.org/educational_technology_researc.php is a bi-monthly publication of the Association for Educational Communications and Technology. AECT states, "it is the only scholarly journal in the field focusing entirely on research and development in educational technology." Educause Publications: See Educause Review and Educause Quarterly under Resources at https://www.educause.edu/ . Educause has a mission to transform education through information technologies. Other learning resources are available related to teaching/learning, cybersecurity, information technology management, networking and emerging technology, policy and law, and so on. The Elementary School Journal: http://www.press.uchicago.edu/ucp/journals/journal/esj.html is published by The University of Chicago Press. It "has served researchers, teacher educators, and practitioners in the elementary and middle school education for over one hundred years. It publishes peer-reviewed articles dealing with both education theory and research and their implications for teaching practice. In addition, ESJ presents articles that relate the latest research in child development, cognitive psychology, and sociology to school learning and teaching" (Description section). First Monday: http://www.firstmonday.org/ First Monday, an initiative from the University of Illinois at Chicago Library, publishes original articles about the Internet and the Global Information Infrastructure. From Now On: http://www.fno.org/ Beyond technology to learning and information literacy. Subject index contains assessment, change, copyright information, curriculum, grants, information literacy, Internet use policies, libraries of the future, networks and connectivity, research, staff development, technology planning, virtual museums, and tips on web site development. Institute for Learning Styles Research Journal: http://learningstyles.org/ is a peer reviewed electronic journal published by the Institute for Learning Styles Research. The journal solicits articles on research pertaining to the general topic of learning styles. Articles are available online. International Journal of Education Policy and Leadership: http://journals.sfu.ca/ijepl/index.php/ijepl is a refereed online journal that is cosponsored by ASCD and Simon Fraser and George Mason Universities. Journal of Applied Instructional Design: https://www.jaid.pub/ The first issue of this journal was in 2011. The journal is sponsored by AECT. Articles are based on design and development projects with the goal to improve instructional design. Journal of Cases in Educational Leadership: http://jel.sagepub.com/ This is an electronic publication of the University Council for Educational Administration in cooperation with the University of Utah which contains peer-reviewed cases appropriate for use in programs that prepare educational leaders. Journal of Media Education Literacy: http://digitalcommons.uri.edu/jmle/ is open-access and supports research, scholarship, and the pedagogy of media education research. It is the official journal of the National Association of Media Literacy Education. Journal of Research on Technology in Education: http://www.iste.org/resources/product?id=25 Effective August 31, 2001, this is the new name for the Journal of Research on Computers in Education. Journal of Special Education Technology: http://www.isetcec.org/publications/jset/ is an online publication of the Technology and Media Division of the Council for Exceptional Children. Journal of Technology and Teacher Education: https://www.aace.org/pubs/jtate/default.htm is a peer-reviewed journal from the Society for Information Technology and Teacher Education, which is a society from the Association for the Advancement of Computing in Education. Journal of Technology Education: http://scholar.lib.vt.edu/ejournals/JTE/ from Virginia Polytechnic Institute and State University and International Technology and Engineering Educators Association. JTE is a refereed scholarly journal that provides a forum for discussion of technology education. Conceptual as well as research-based articles are published. Journal of Virtual Worlds Research: http://www.jvwresearch.org/ Publication of this peer-reviewed quarterly journal began in July 2008 at the University of Texas at Austin. Articles are available online under a Creative Commons license. Initial themes include Virtual Worlds Research: Past, Present, and Future; Consumer Behavior in Virtual Worlds; Culture of Virtual Worlds; Pedagogy, Education, and Innovation in 3-D Virtual Worlds. JVWR also has a newsletter and podcasts. JSD (Journal of Staff Development): https://learningforward.org/publications/jsd from Learning Forward is published bi-monthly and is devoted to professional learning. Learning & Leading with Technology: http://www.learningandleading-digital.com/learningandleading by the International Society for Technology in Education. Meridian: A Middle School Computer Technologies Journal: http://www.ncsu.edu/meridian/ is "an electronic journal dedicated to research and practice of computer technology in middle school classrooms. It is published twice yearly by an interdisciplinary team of NC State graduate students representing a broad range of fields from education to forestry." Reading Online: http://www.readingonline.org/ is a peer-reviewed journal of K-12 practice and research by the International Reading Association. The journal supports professionals as they integrate technology in the classroom. You can also join online communities for conversations about issues in literacy and technology. 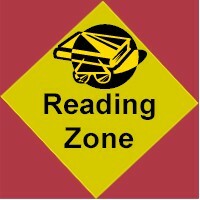 The International Reading Association posted the following note at the web site: "At its January 2005 meeting, the International Reading Association’s Board of Directors voted to suspend publication of Reading Online." The last issue with peer reviewed articles is May/June. Readers are "assured that all articles and features published over the years in Reading Online will continue to be available." Research in Learning Technology: https://journal.alt.ac.uk/index.php/rlt/index is an open-access journal from the Association for Learning Technology. ScholarWorks: http://scholarworks.waldenu.edu/ from Walden University is a publicly available repository of dissertations and journal articles from the Walden community. Walden's five journals include the Journal of Social Work in the Global Community, Journal of Social Change, Journal of Social, Behavioral, and Health Sciences; Journal of Educational Research and Practice, and the International Journal of Applied Management and Technology. Teacher Magazine: http://www.teachermagazine.org/tm/index.html is a publication of Editorial Projects in Education Inc. A professional development sourcebook is also available with a fully searchable directory, which has links to more than 200 products, services, or organizations. TechTrends: https://aect.org/techtrends_-_linking_research.php is a publication of the Association for Educational Communications and Technology. AECT states "its major purposes are: to provide a vehicle for the exchange of information among professional practitioners concerning the management of media and programs, the application of educational technology principles and techniques to instructional programs, corporate and military training, and any other kinds of information that can contribute to the advancement of knowledge of practice in the field." The Technology and Engineering Teacher: https://www.iteea.org/Publications/Journals/TET.aspx is a peer-reviewed journal from the International Technology and Engineering Educators Association (ITEEA), which is published eight times a year. It is useful for technology education professionals, including K-12 classroom teachers as well as teacher educators. Content includes reports on current trends in technology and engineering education, technology learning activities, program articles, news, calendar, and so on. Need additional or peer-reviewed journals? The Directory of Open Access Journals: http://www.doaj.org/ DOAJ aims to be comprehensive (i.e., all subjects and languages) and covers free, full text, quality controlled scientific and scholarly journals to guarantee content. Quality control means that the journals "must exercise peer-review or editorial quality control to be included." This is a huge plus for researchers. eLearn Magazine: http://www.eLearnmag.org published by the ACM, is devoted to distance education. Journal of Educators Online: https://www.thejeo.com/ is published in January and July of each year. JEO is "an online, double-blind, refereed journal by and for instructors, administrators, policy-makers, staff, students, and those interested in the development, delivery, and management of online courses in the Arts, Business, Education, Engineering, Medicine, and Sciences." Journal of Online Learning and Teaching: http://jolt.merlot.org/index.html addresses the scholarly use of multimedia resources in education, including topics as "learning theory and the use of multimedia to improve student learning; instructional design theory and application; online learning and teaching initiatives; use of technology in education; innovative learning and teaching practices" (Welcome section, para. 2). Journal of Online Learning Research: http://www.aace.org/pubs/jolr/ is a free open-access journal published quarterly. It is "focused on publishing manuscripts that address online learning, catering particularly to the educators who research, practice, design, and/or administer in primary and secondary schooling in online settings. However, the journal also serves those educators who have chosen to blend online learning tools and strategies in their face-to-face classroom" (Homepage description). The International Review of Research in Open and Distance Learning: http://www.irrodl.org/index.php/irrodl You will also find a list of other related journals on distance education teaching and learning among resources at this site. A Lexicon of Learning: http://www.ascd.org/Publications/Lexicon-of-Learning/table-of-contents.aspx is an online dictionary from ASCD that includes definitions of educational terms in everyday language. Bookshare: http://www.bookshare.org/ is "an online library of digital books for people with print disabilities. It operates under an exception to U.S. copyright law which allows copyrighted digital books to be made available to people with qualifying disabilities ... Members download books, textbooks and newspapers in a compressed, encrypted file. They then read the material using adaptive technology, typically software that reads the book aloud (text-to-speech) and/or displays the text of the book on a computer screen, or Braille access devices, such as refreshable Braille displays. Through an award from the U.S. Department of Education Office of Special Education Programs (OSEP), Bookshare offers free memberships to U.S. schools and qualifying U.S. students" (About Us: How Bookshare Works section). Of interest to math educators is the extensive list of math textbooks from leading publishers. Dictionary.com: http://dictionary.reference.com/ provides "free online access to millions of English definitions, synonyms, spelling, audio pronunciations, example sentences, and translations from [its] Web properties at Dictionary.com, Thesaurus.com, and Reference.com and through [its] mobile iPhone, BlackBerry, Android and iPad applications and API data services. Dictionary.com's trusted content comes from 15 authoritative licensed and proprietary reference sources, that have helped define the English dictionary as we know it today" (About section). You can also access free learning resources for teachers and students including math flashcards, math term definitions, and standardized test guides. Encyclopedia.com: http://www.encyclopedia.com/ free encyclopedia provided by HighBeam Research, which provides more than 57,000 frequently updated articles from the Columbia Encyclopedia, Sixth Edition. Each article is enhanced with links to newspaper and magazine articles as well as pictures and maps. Free Dictionary: http://encyclopedia.thefreedictionary.com/Mathematics This online dictionary, encyclopedia, and thesaurus addresses many curricular areas; however, this link goes to the math section. Illustrated Mathematics Dictionary: https://www.mathsisfun.com/definitions/ 846 Definitions, 796 Illustrated, 202 Animated, and links to learn more about each term. International Children's Digital Library: http://en.childrenslibrary.org/ is a collection of free books online for children 3-13 in their native language. Mathematical Sciences Digital Library: https://www.maa.org/about-maa/maa-history/mathdl from the Mathematics Association of America features a collection of free resources: Math in the News, On This Day, Convergence magazine, MAA Reviews, Classroom Capsules and Notes, Course Communities, Mathematical Communication, and more. Math Forum Internet Mathematics Library: http://mathforum.org/library/ The Math Forum at NCTM contains math topics, math education topics, resources with subdivisions for elementary, middle school, high school, college, and research. Resources, for example, include educational materials, internet-based projects, organizations, publications, and software. Mathwords: http://www.mathwords.com/ The site provides a comprehensive, interactive math dictionary of math words, terms, formulas, pictures, diagrams, and tables from Algebra I to Calculus. The explanations are readable for average math students, and over a thousand illustrations and examples are provided. Mathwright Library: http://www.mathwright.com This library is a true find! It is a collection of interactive, electronic mathematics and science books that range in size from 1 to 55 pages (or more). The collection presently holds roughly 250 books, that comprise 1800 interactive pages. Each page is like an Applet. Search by math topic and/or level (elementary, high school, beginning college, intermediate college, and advanced). Library members (annual fee of about $20) may download freely during their subscription period. The WorkBooks have been developed by College and Secondary School mathematics and science teachers (and sometimes by their students) since 1991. The Microworlds and WorkBooks will allow students to ask their own questions, to read at their own pace, and to experiment and to play with those topics that interest them. There is a "Free Stuff" page to introduce you to this resource. Required plug-ins are available for viewing and interacting with content. Merriam-Webster Online Dictionary: http://www.merriam-webster.com/ based on the print version of Merriam-Webster's Collegiate® Dictionary, Eleventh Edition. National Academies Press: http://www.nap.edu/topics.php?browse=1 NAP contains more than 4,000 books online, which you can read for free. Books are searchable by categories. For example, you'll find books on education on such topics as early childhood education; K-12 education; education research and theory; educational technology; higher education; math and science education; policy, reviews and evaluations; teacher preparation and professional development; and testing, assessments and standards. National Science Digital Library: http://nsdl.org/ NSDL is the nation's online library for education and research in Science, Technology, Engineering, Mathematics. If you wish, search for ethnomathematics. Ethnomathematics has developed as an academic discipline to explore the interaction of mathematics and the culture in which it arises, a basic premise being that mathematical ideas are mental constructs created by individuals and groups in response to cultural activities. Online Books Page: http://onlinebooks.library.upenn.edu/ lists over 30,000 free online books on numerous subjects. The site is by John Mark Ockerbloom and hosted by the University of Pennsylvania. Questia.com, "The World's Largest Online Library": http://www.questia.com/ Research mathematics and such topics as math anxiety, teaching mathematics, mathematical problem solving, mathematics history, word problems, philosophy of mathematics. Subscription. Read Print: http://www.readprint.com/ Read Print is a free online library that offers thousands of books for students, teachers, and the classic enthusiast. These are books typically read in literature courses ranging from such authors as Louisa May Alcott to Thomas Hardy to William Butler Yeats. Visuwords: http://www.visuwords.com/ is an online graphical dictionary/thesaurus. What is unique is the graphical relationship of the word to other words and concepts. Open source code is used to produce diagrams reminiscent of a neural net. "Enter words into the search box to look them up or double-click a node to expand the tree. Click and drag the background to pan around and use the mouse wheel to zoom. Hover over nodes to see the definition and click and drag individual nodes to move them around to help clarify connections." Webopedia: http://www.webopedia.com/ online dictionary and search engine for computer and Internet technology definitions. See Additional Math Dictionaries, Glossaries, and Math Encyclopedias for students in our section on Math Resources (page 4).